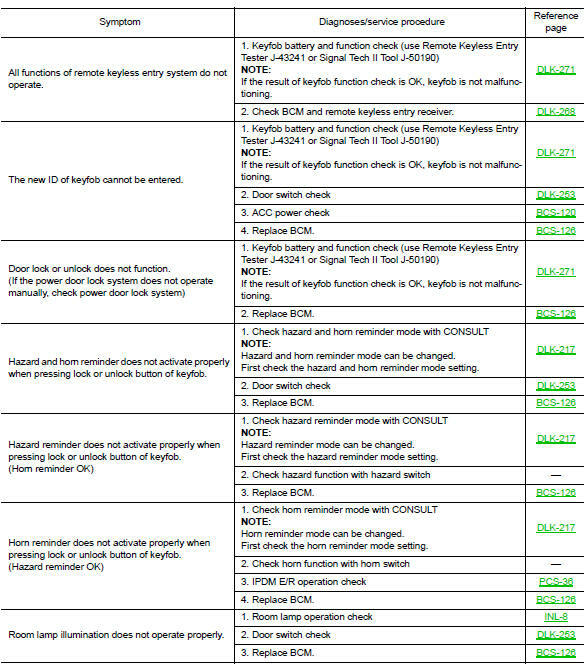 Before performing the diagnosis in the following table, check вЂњWORK FLOWвЂќ. Refer to DLK-245, "Work Flow". 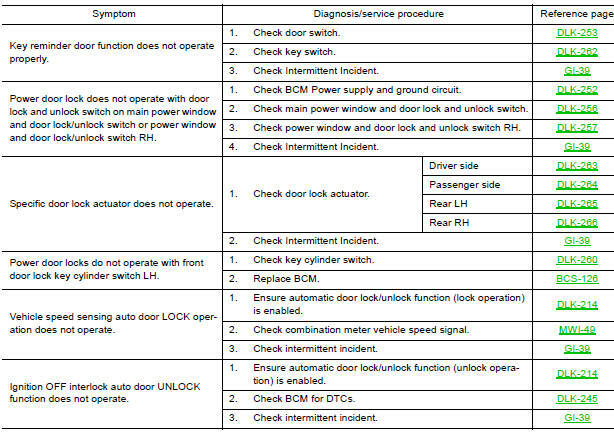 If the following symptoms are detected, check systems shown in the вЂњdiagnosis/service procedureвЂќ column in this order. Interview the customer if possible, to determine the conditions that exist when the noise occurs. Use the diagnostic worksheet during the interview to document the facts and conditions when the noise occurs and any customer's comments; refer to dlk-294, "diagnostic worksheet". This information is necessary to duplicate the conditions that exist when the noise occurs. Refer to DLK-291, "Generic Squeak and Rattle Troubleshooting".